We all do our best to prepare for the future. From purchasing insurance policies that protect our assets and health to investing for our retirement we routinely make decisions that will affect our future. But what about making sure your family is provided for in the event of your death? Few of us like to think about our end of days, but it is important to have your affairs in order to ensure that your loved ones are cared for and your assets are distributed or maintained in the way that you intend. A trust enables you to create a separate legal entity to protect your property and assets from probate, taxes and public scrutiny. 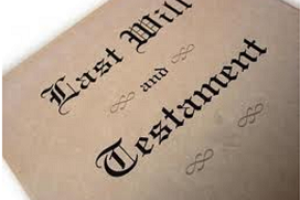 Trusts may be established while you are living or upon your death as set forth in your will. The type of trust you establish will determine how much control you have over the property that you place within it. An experienced lawyer can explain the various types of trusts available to you and help you choose the best way to protect your property (see Estate Planning for more information on trusts). A will is a legal document that allows you to name a guardian for your child and specify who will inherit your property after you die. Without a will, you will have no say in what happens to your property. An experienced wills and trusts lawyer should be able to advise you in all of your estate planning needs with the foresight and precision writing a will demands. If you need help establishing a trust or creating a will that will not be deemed invalid or delay the disbursement of your property, Contact Us. From simple wills, pour-over wills, living wills, testamentary trust wills and holographic wills to trusts and other estate planning tools, a wills and trusts professional at Taxco can help you make the decisions that will benefit your loved ones the most.